The Darley Road Race Circuit near Bacchus Marsh was a circuit that was mainly made up of roads that were part of Army Camp, The track was run by the Preston Motorcycle Club, starting in the late 1940's and finishing in the early 1960's. The main straight was also the main road and was often closed off during race days. 1959 - Alan Osborne on the Honda leads Tom Phillis on the Ducati at the Darley Circuit. Photo: unknown. 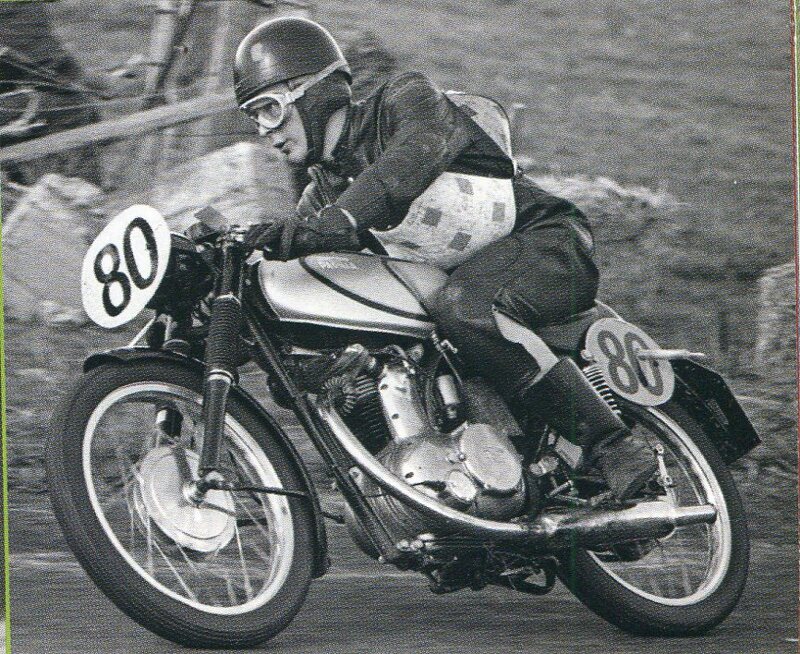 1961 Terry Merange on his 175 Parilla at the Darley Road Race Circuit. Photo: unknown.